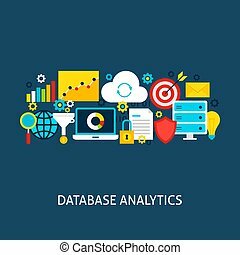 Database analytics icons flat set with data mining seo cloud isolated vector illustration. Database Analytics Flat Concept. Poster Design Vector Illustration. Set of Big Data Objects. Business Analytics Flat Icons. Vector Illustration. Big Data Statistics. Set of Circle Items with Long Shadow. Database Analytics Flat Concept. Poster Design Vector Illustration. 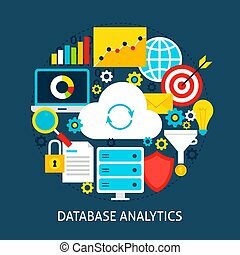 Set of Big Data Colorful Objects. Big Data Analytics Flat Icons. Vector Illustration. Business Statistics. Set of Circle Items with Long Shadow. 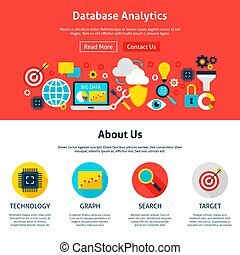 Database Analytics Website Design. Flat Style Vector Illustration for Web Banner and Landing Page. Business Analytics Colorful Icons. Vector Illustration. Big Data Set of Flat Rectangle Items with Long Shadow. Business Analytics Isometric Icons. Vector Concepts and Technology Symbols. 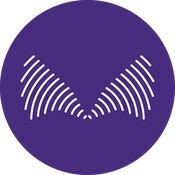 Data Analytics Icon. Vector Illustration Flat Style Item with Long Shadow. 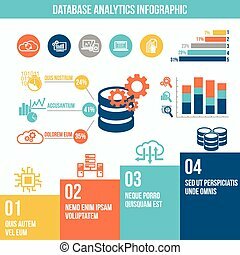 Database analytics information technology flat infographic set with charts vector illustration.